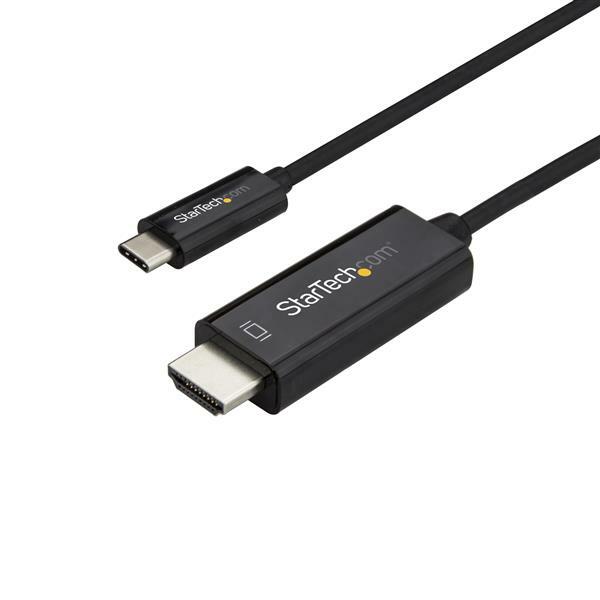 This USB-C™ to HDMI® adapter cable offers a convenient solution for directly connecting your DisplayPort over USB Type-C™ device to your HDMI monitor, television, or projector. The adapter offers a connection distance of up to 2 m (6 ft.) and works with USB-C devices that support DP Alt Mode, such as the MacBook, Chromebook Pixel™ and Dell™ XPS™ models 15 and 13. It's also compatible with Thunderbolt™ 3 ports.